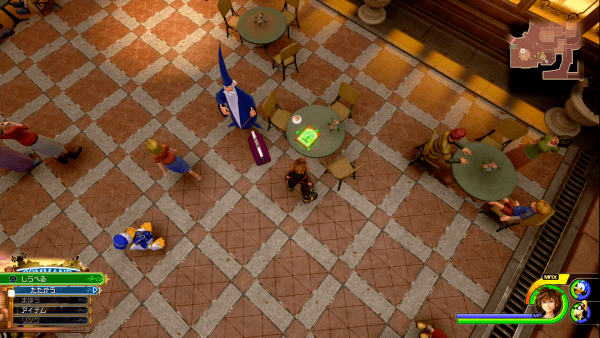 A complete walkthrough of 100 Acre Wood in Kingdom Hearts 3, including ally characters, obtainable equipment, and items. 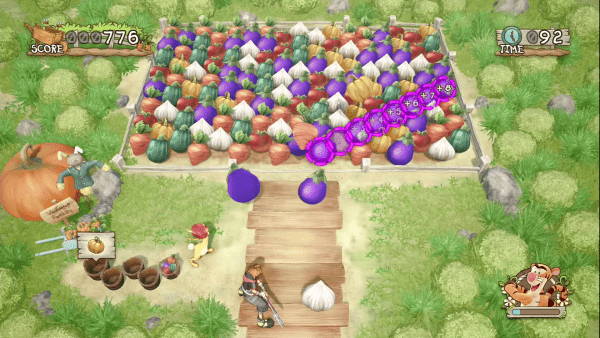 In this mini-game, you have to match the vegetable you will fire to the other vegetables on the other side of the field. By arranging the same vegetable in a row, you will score points. Get a high score within 100 seconds to receive a reward. Character Bonus: Tigger runs around the vegetable field to harvest vegetables. The kind and number of vegetables rewarded depend on your score and clear time. 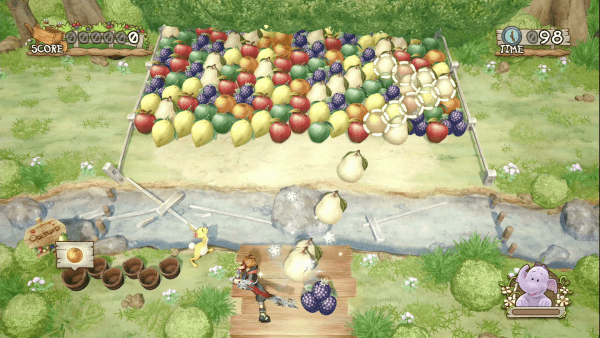 This mini-game is basically the same as Tigger’s, but instead of vegetables, it is fruits that you need to match here. The fruit field also adds rows of fruits at regular time intervals. If the fruits reach the river, it is game over. Character Bonus: Lumpy reduces the rows by half. The kind and number of fruits rewarded depend on your score and clear time. The same as Tigger’s, but you need to fill up the Honey gauge to get more points and time to get a high score. 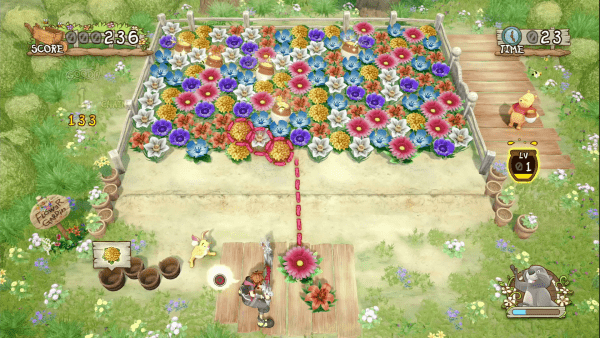 Character Bonus: Gopher jumps out of the ground randomly and will harvest surrounding flowers. He will slowly fill up the Honey gauge for you. The number of items rewarded depend on your score and clear time. 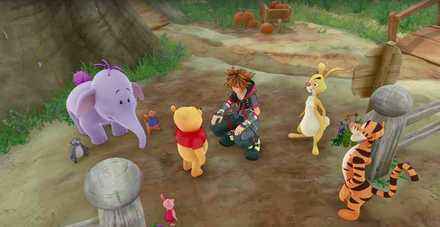 Sora travels back to 100 Acre Wood to meet Winnie the Pooh and the gang in search for answers regarding “The Key to Return Hearts.” As with the previous titles in the Kingdom Hearts series, Winnie the Pooh’s world will have its own mini-game in Kingdom Hearts 3. You can find out more about Kingdom Hearts’ 100 Acre Wood adventure here. Well I completed Arendelle before Monstropolis and The 100 Acre Wood got unlocked right after Arendelle. So I think it works both way: either Monstropolis or Arendelle. Any idea how to (or if I can) break the beehive? I keep whacking away to no avail. 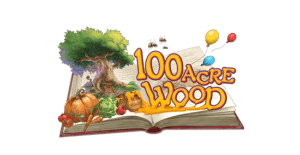 Is there a plan to add the lucky emblems into this guide for the 100 Acre Woods? Bushes on horizon, Huge pumpkin, Buck near house. It’s in the background. It’s a tree facing opposite of rabbits house. Towards where you leave the book. I believe it is Merlin we are supposed to see not Yen Sid. Already edited it, thanks for correcting!